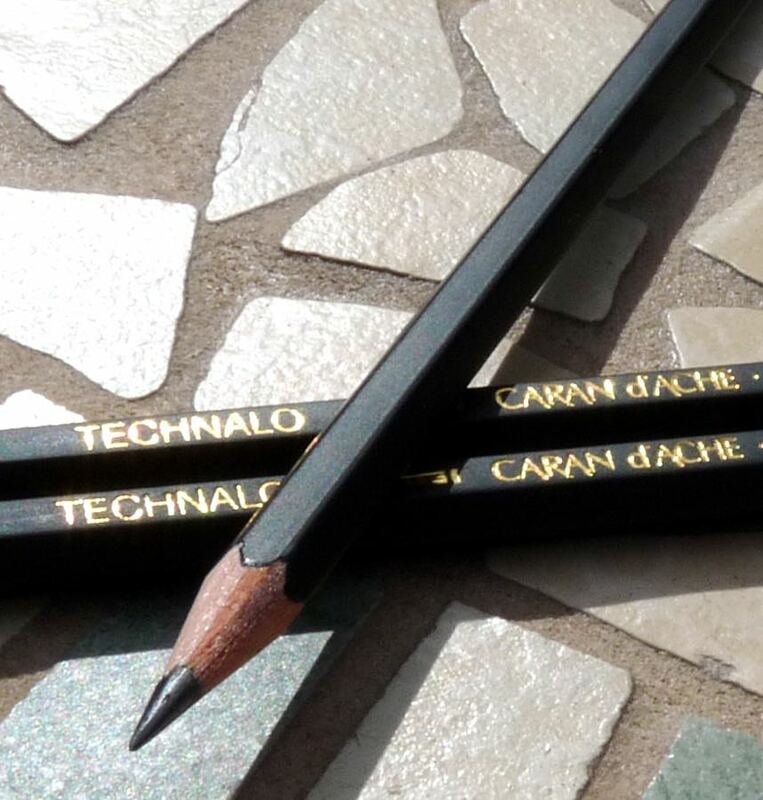 Caran d’Ache Technalo 779 Water-Soluble Pencil Review – Pens! Paper! Pencils! 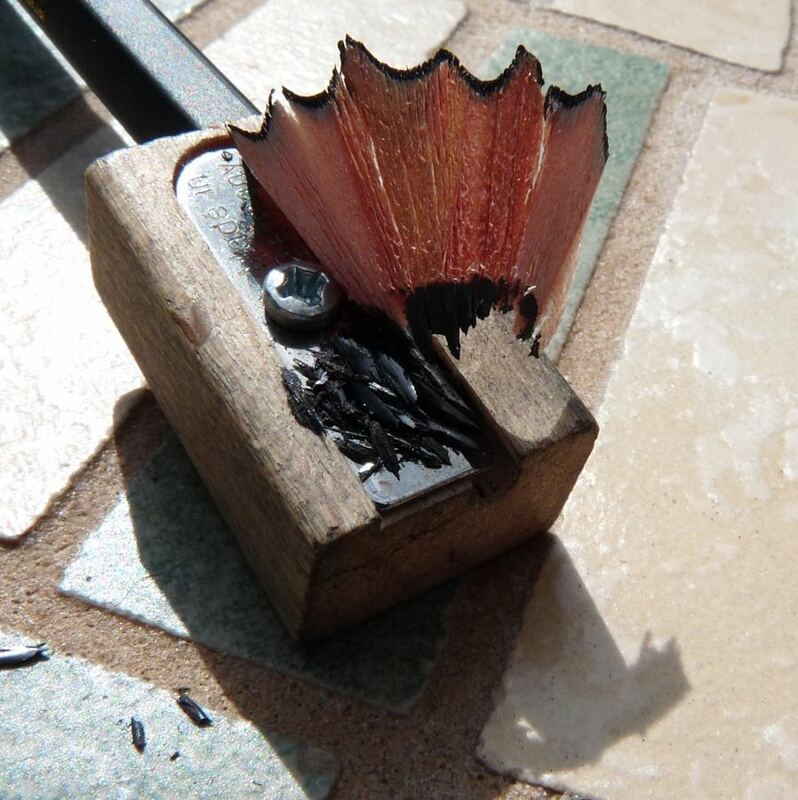 A little while ago a reader, Jennifer (who makes rather wonderful art) asked if I’d tried water-soluble graphite pencils. I’d been meaning to but hadn’t got around to it. Then, by a strange coincidence, I picked up a couple of new (to me) Caran d’Ache pencils at a local art supplies shop. 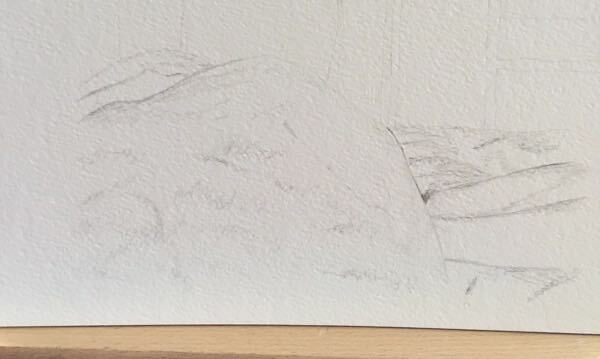 One of these pencils was the Technalo and it turned out that this is water-soluble, even though I hadn’t realised this when I picked it up. Clearly, this was something I was meant to try. The Technalo is a good pencil in its own right. It sharpens nicely and keeps a point fairly well. 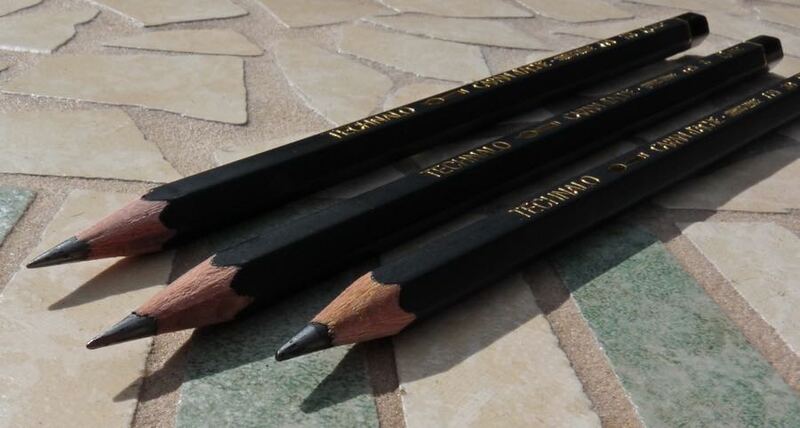 The lead is, grade for grade, a little softer than your normal pencil but you’re not really comparing like with like. They’re available in HB, B and 3B. As you’ll soon see, the 3B becomes very dark when combined with water. It’s possible to sketch with these pencils in the way you would with a normal graphite pencil but something like a Tombow Mono 100 is much better suited for this: they are a wider range of grades, keep a better point and are much cheaper. 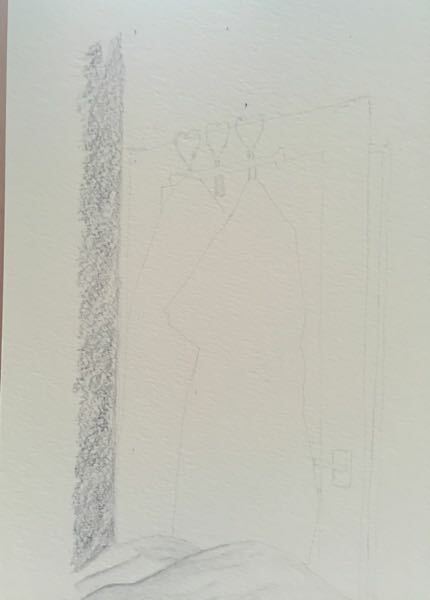 I’ve tended to combine the two kinds of pencil in my drawings. The whole point (no pun intended) of these pencils is of course to combine them with water. You can see in the pictures below how water darkens and blends the lines. This gives a really beautiful effect and it’s one I absolutely love. 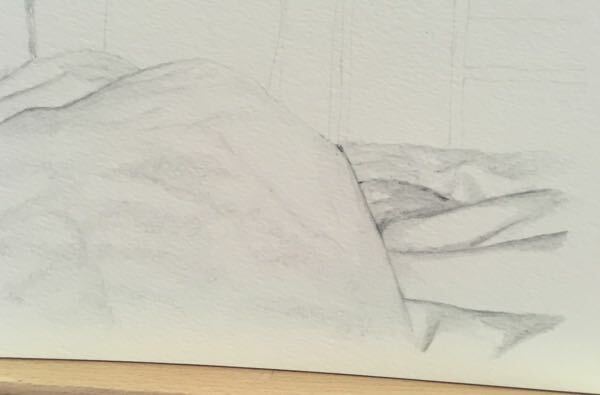 Tomorrow’s picture uses them but if you follow my Instagram feed you’ll have seen that despite my intention to spend this year trying out lots of different techniques they keep pulling me back. Clearly you either have a use for a water-soluble pencil or you don’t. If you do, then these certainly do the job beautifully. Looks very interesting — I just put one in my Blick wishlist. Have you tried Caran d’Ache Aquarelle water-soluble colored pencils? Equally yummy. I’ve been using the Derwent Inktense and Graphtint pencils. Have you tried those? The Graphtint are graphite and color mixed so dry they are very muted but when wet the colors really pop. 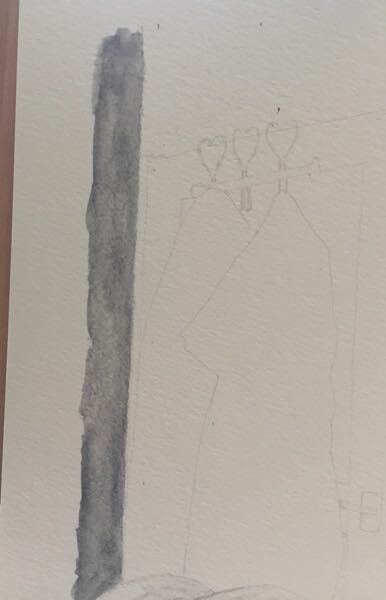 The Inktense are more ink pencils, when dry they look like a colored pencil and wet like a watercolor but when dry, it becomes permanent which is great for layering techniques. I should really start writing more art supply reviews. Thanks for sharing yours. I have something new to add to my supply wish list. I completely missed this review! I stopped receiving notifications on your posts over the past year for some reason, but that should be fixed now. I actually checked in to see what you had to say about the Grafwood pencils, and fortunately I caught this. I’m glad you had some fun with the pencils, I’m about to start playing around with them again. Yes I really enjoy them. Were you getting notifications via email before? Some things went wonky when I Iaunched the new design and I’ve never quite got to the bottom of them.